The Red Cross logo is one of the most recognizable in the world, yet the organization itself is only known for a fraction of the work they do. Beyond major disaster relief, the Red Cross and their army of volunteers impact thousands of lives every day – from providing for families who've lost everything in a house fire, to making life-saving blood donations possible, to arranging to bring active military personnel home for important life events. We felt that the most authentic way to tell these stories was through the people whose lives the Red Cross has touched. But just sending out hundreds of cameras and crossing our fingers felt risky. Instead, we put a lot of thought and care (and hours) into creating inspirational storytelling kits that recipients later told us felt like "a handmade gift". What we got back was truly amazing. Hundreds of stories from 23 states, 250 hours of film and thousands of photographs (and then the real editing work began). These are incredible stories of humanity at its purest. We received hundreds of stories from around the country and over 250 hours of film. We edited more than 20 videos. Several ran on TV and many more lived online. Here are a few. 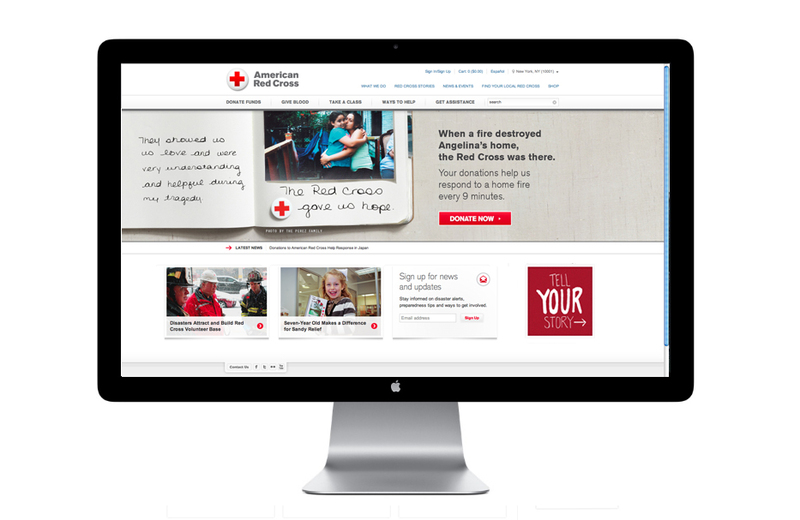 On the website, users could view films, photographs and journal entries from people who have been helped by the Red Cross, as well as request a kit to tell their own story. Thousands of photographs that we received were used to create traveling photo gallery. It debut in D.C. Station during Red Cross awareness month. 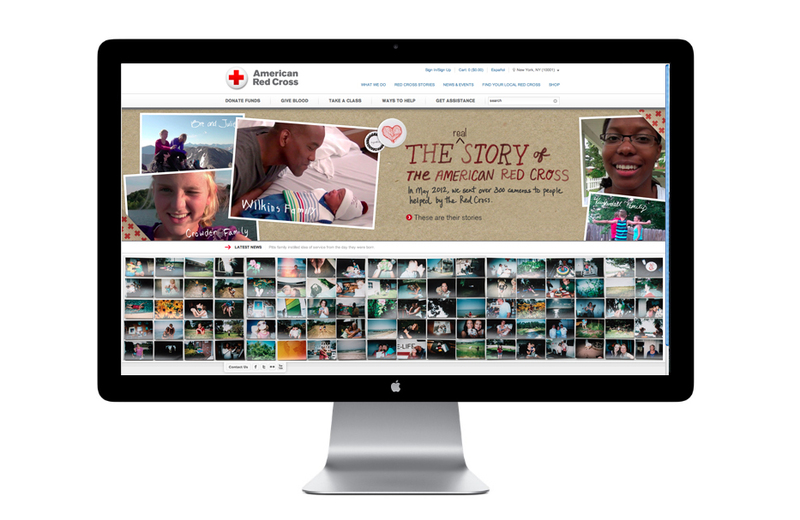 We populated the Red Cross Flickr page with photos and journal entries from the inspiring stories we received.